Top 1% + in 2 EPD traits! Mystery is an elite foundation dam with world class genetics going back generations proven both in the show ring and through EPD evaluation. 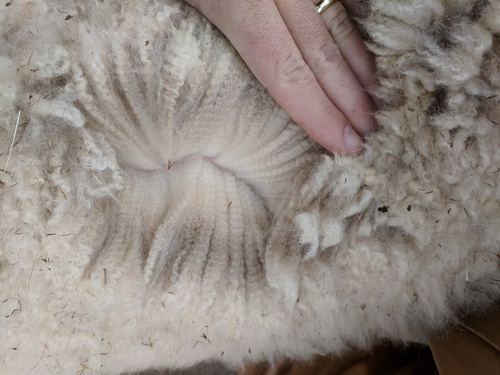 But what else would you expect after crossing the bloodlines of the only two males ever to win herdsire of year two years in a row AND breeding the 2008 reserve dark and light herdsire of the year to a dam from Snowmass Alpacas' coveted fine fleece ROYAL line? We searched the nation for the perfect match to pair with Accoyo America Apocalypse and found Muirfield's mom, Snowmass Royal Mystery, literally on the other side of the country (from Georgia to Washington State). 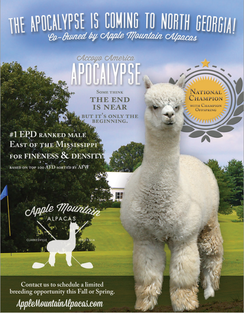 You have to read the description of his mom to understand her amazing pedigree and you have to read the description of Apocalypse to understand his. Once you do - you'll see this is one special little guy. The potential here is tremendous. His projected EPDs place him in the top 3% for 5 traits. 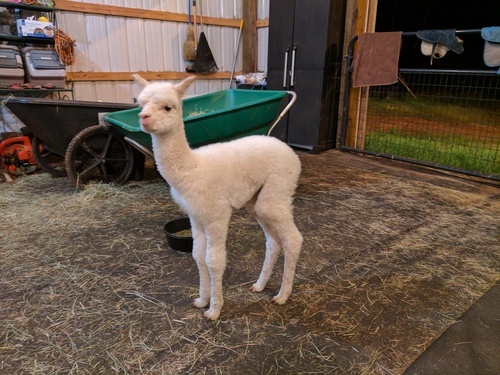 His mom's pedigree includes the only two males ever to win herdsire of the year two years in a row and the 2008 reserve dark and light herdsire of the year. Both mom and dad's sides of the pedigree have banner winners going back 3+ generations. 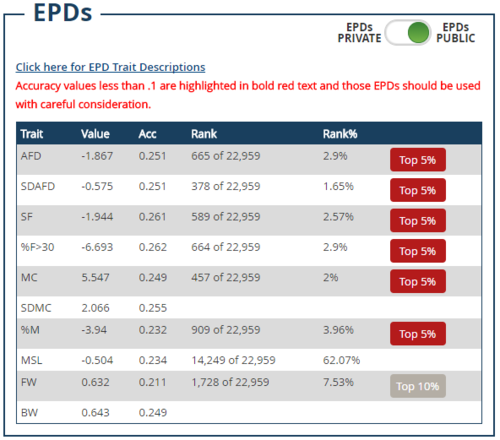 His EPDs are in the top 3% for 5 different traits. 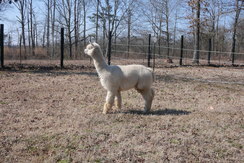 This male is well balanced and ready to improve all traits in your herd. There's not much more you could do to stack the decks in your favor. If you're interested in adding the best of the Snowmass genetics and the best of Accoyo America genetics to your herd in a single SemiHemi herdsire, this is your guy. However, the current price reflects his age and unproven status. As he grows into the herdsire he's destined to become, his offering price will be adjusted. 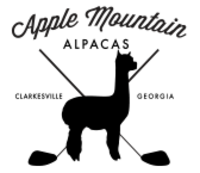 Learn more about our farm at Georgia Alpacas on Trip Advisor and Georgia Grown Alpacas. Financing available: We offer up to 1 year NO INTEREST with 25% down on purchases over 2k, and up to 2 years NO INTEREST with 25% down on purchases over 10k.